Editor’s note: Dollie Joanne Thielman is the mother of this Editor “Sandra Lee Thielman” and the founder of The Beecher Mausoleum Guardian Angels. The restoration of the mausoleum is a act of love for only for all the people resting here but most of all for my mom. Miss you still to this very day! Funeral services will be held at 1 p.m. Friday in Spindler-Koelling Lincolnway Chapel, Matteson, for Mrs. Dollie Joanne Thielman of 192 Nauvoo, Park Forest, who died Tuesday in her home. The Rev. 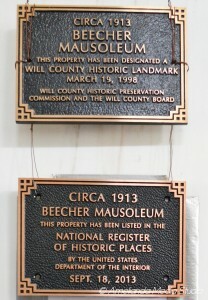 Luther Bekemeier of Hope Lutheran Church, Park Forest, will officiate, and entombment will be in the Beecher Mausoleum. Friends may call at the chapel after 2 p.m. Thursday and until time of services Friday. 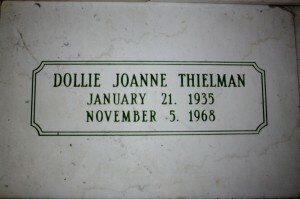 Mrs. Thielman was born January 21, 1935, in Kansas, and had lived in Park Forest for six years. In addition to being a loving mother and wife she was a talented artist and taught art classes on occasion to the children of Talala grade school. She was a member of the Hope Lutheran Church. 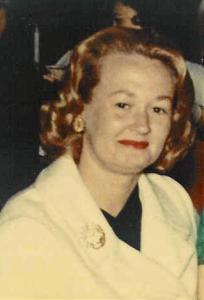 Survivors include her husband, Leslie R; her father, Clarence Johnson of Conover, Wisconsin; her mother, Mrs. Lillia Stenning of Joplin, Missouri; two daughters, Sherry Lynn and Sandra Lee; a son, Walter Scott, and two sisters, Mrs. Rita Fridrichs of Steger and Mrs. Marilee Young of Monee Township.